Another fabulous day! It was warm and sunny and who would have thought on the last day of October I saw lots of people swimming in the sea and walking about in shorts and t-shirts. This morning we met friends at the park for a walk, play, coffee and cake. 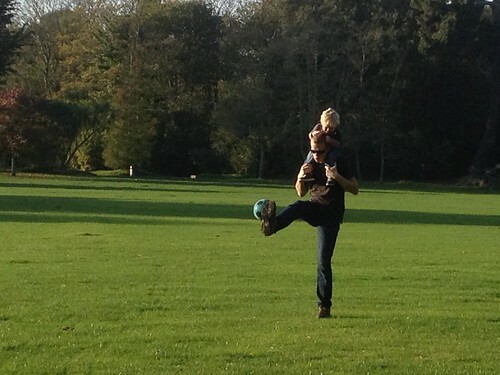 This afternoon The Mister left work early so we went to the park where he and The Little Mister kicked the ball about. Perfect. It was a gloriously beautiful day today. This morning we went for a walk to the Fairy Ring with my sister, a friend and my aunt and all the kids. 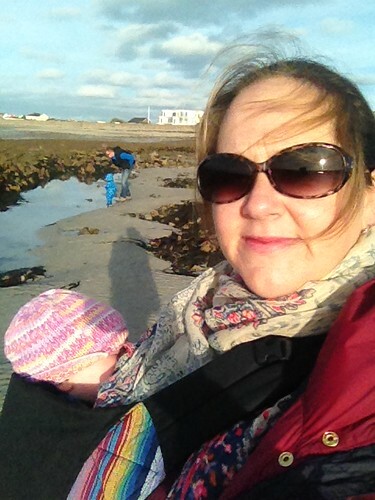 This afternoon we met up with my friends Emma and Ellen and their children and we walked to a local nature reserve. Such a warm and beautiful day and Emma and her daughter Ava had been busy in the kitchen and made some delicious chocolate cakes. 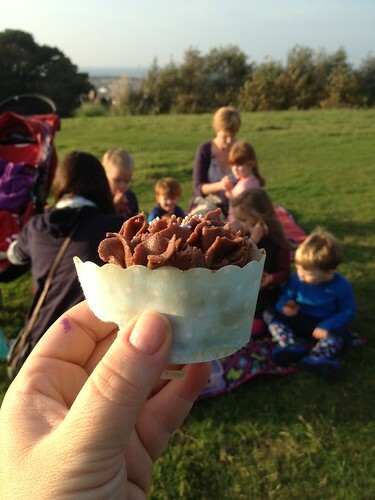 A little picnic of cake and coffee finished off our day nicely. I can’t believe that I am now on the home straight to going back to work. The time has just gone by so fast. This photo yesterday was taken from the viewpoint at The Guet yesterday. It shows my favourite beach, Cobo. So much of my childhood was spent building sandcastles, swimming in the sea and rock-pooling. It holds so many happy memories. Another beautiful day today. I can’t believe that it is nearly November! 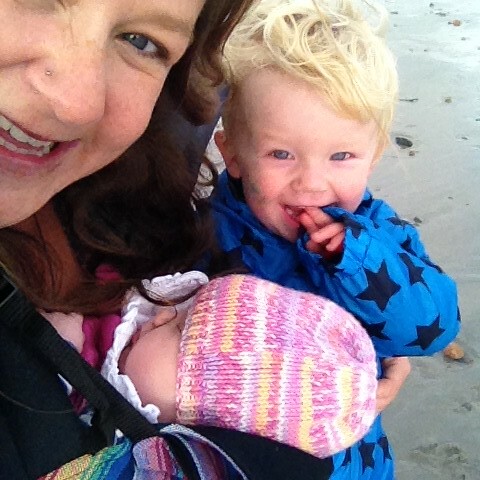 This morning the children and I went for a walk with my sister and her children. 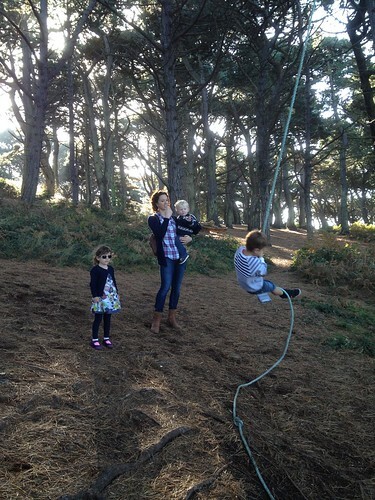 We walked to a local wood called The Guet and the kids ran about and played on the rope swings. Much as we did as kids. The Little Mister was so tired he went to bed willingly tonight and I have too admit that I feel shattered too! Day 300 and another photo from yesterday! 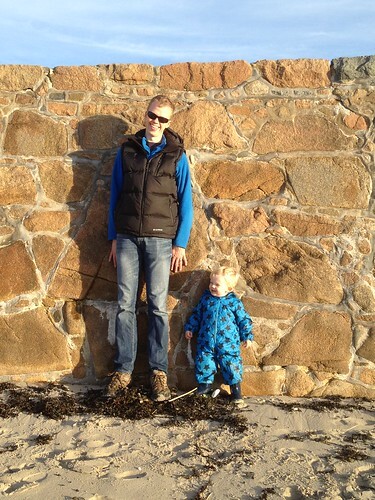 Two of the most important people in my life on one of my favourite beaches in the world. Just some of my many blessings. It has been an absolutely beautiful day. It has been gorgeous sunshine and really warm for what is nearly November! The Mister and I took the kids to the beach for a walk this afternoon. 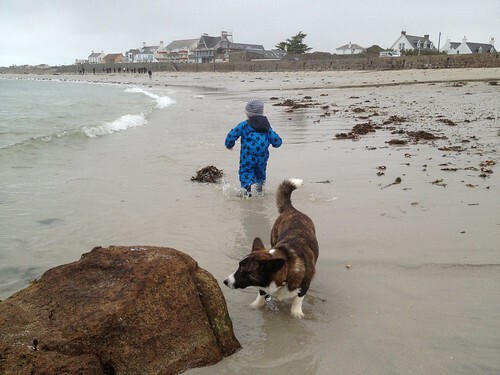 As usual this meant that The Little Mister spent his time jumping in rock pools and running in and out of the sea. 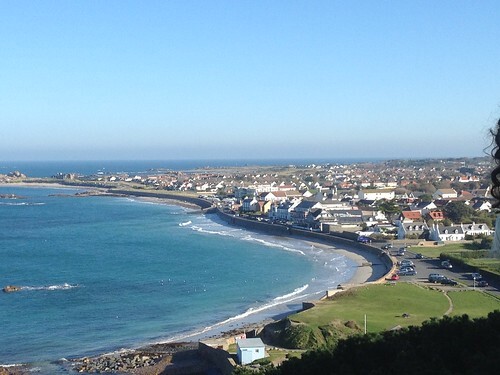 Living on this beautiful island is a gift and my family are so precious to me. We are very blessed. 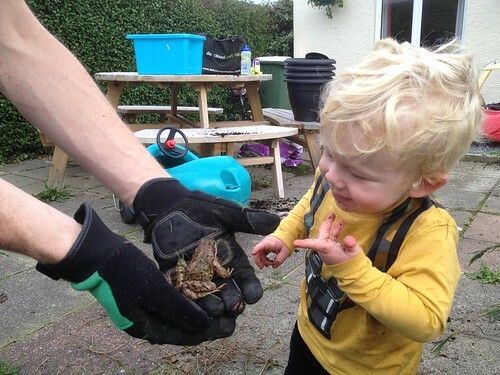 Today we have been clearing up the garden and underneath a big pile of leaves we found this lovely frog. The Little Mister was fascinated by him but then again he is curious about all sorts of bugs and creatures that can be found in the garden! Some of my favourite days are spent just pottering around the garden. Once again he had soaking wet trousers and socks and I had to empty the sea out of his wellies. He had a wonderful time though and that makes me happy. Shopping with two children in tow is a bit of a juggling act. 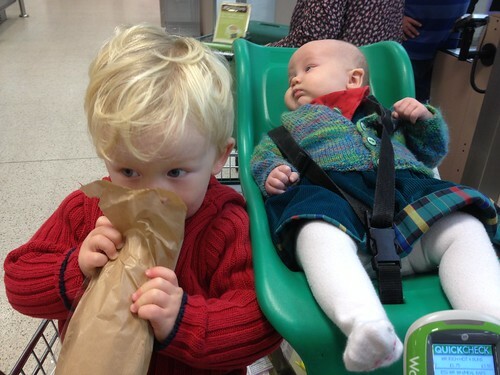 As The Little Mister gets bigger though the trip to the supermarket is a language lesson. He is now able to name so many of the products that we buy that it is a great opportunity for him to practice his skills. Always embarrassing when he starts shouting ‘CAKE’ at the top of his voice though! To keep him quiet today though he chewed on the end of the baguette we bought, although The Mister thinks he looks like he is drinking meths out of a brown paper bag or sniffing glue.